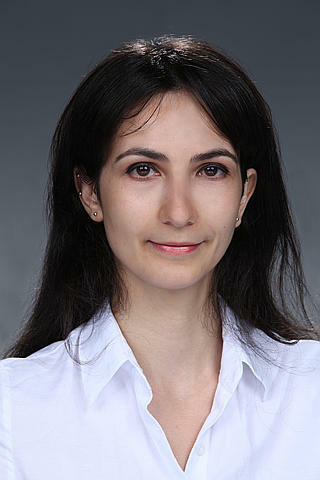 Congratulations to Maria Vlachopoulou, an engineer in the Computational Sciences & Mathematics Division at the Department of Energy's Pacific Northwest National Laboratory, on being recognized as a "New Face of Engineering" by the Institute of Electrical and Electronics Engineers. The award highlights the vitality, diversity and rich contributions of engineers 30 or younger. Maria was honored for her breakthrough research in computer algorithms and mathematical models supporting the transition of the U.S. power grid to a more secure, efficient and robust system. She has multiple publications related to her work on novel algorithms for performing energy forecasting and she is the founding chair of the IEEE Women in Engineering group within the Richland section of the organization. She works closely with high school and middle school students to generate awareness and interest in careers in science, technology, engineering and mathematics (STEM), including creating Next Step, a STEM-outreach program available to local high school students.